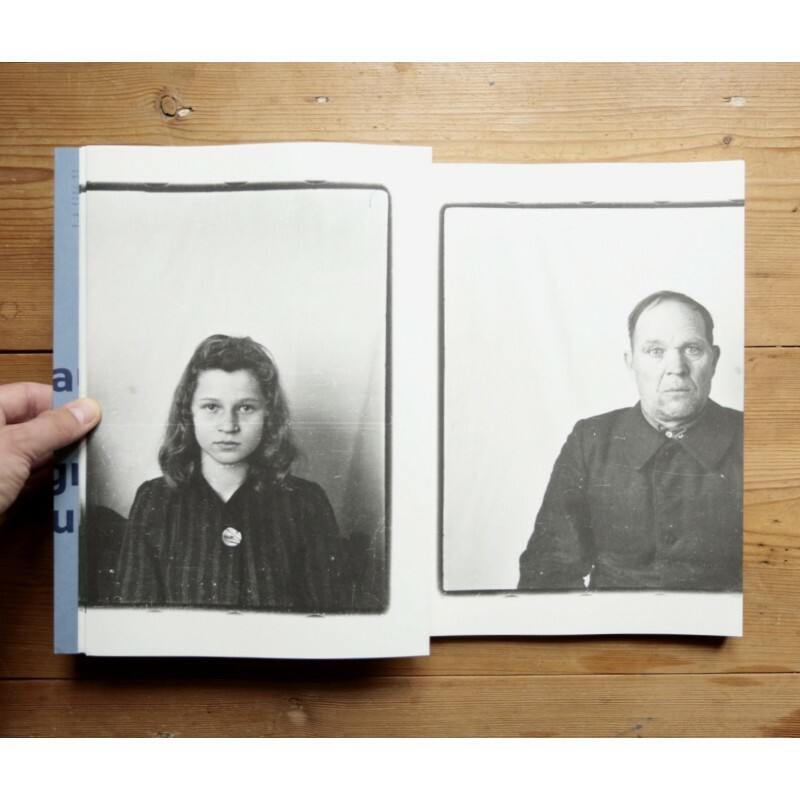 "This book's folio design is shaped by its content: Lithuanian identification photographs from 1946, when citizens were required to get new, Soviet documents. 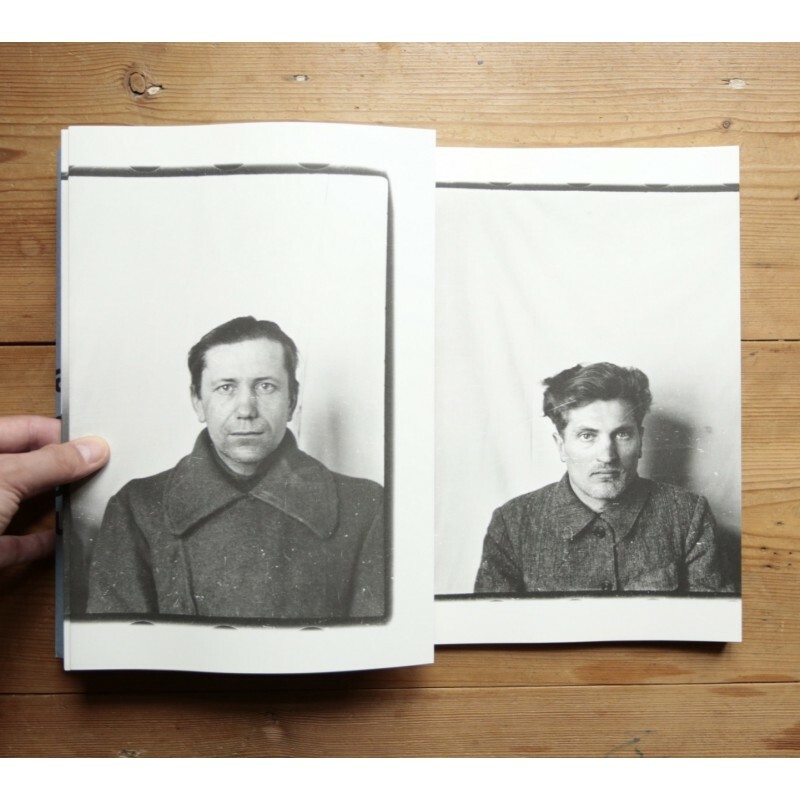 What's distinctive about these images—taken by Vytautus V. Stanionis's father, also named Vytautus—is that, to save money and materials, each print features two people side-by-side, to be sliced in half for individual use. Photographs for Documents highlights the strangeness of this arrangement by using only gatefold pages, each folding out to reveal a second, silent portrait partner—both “hiding and revealing the gist of the book,” says Todd Hido. 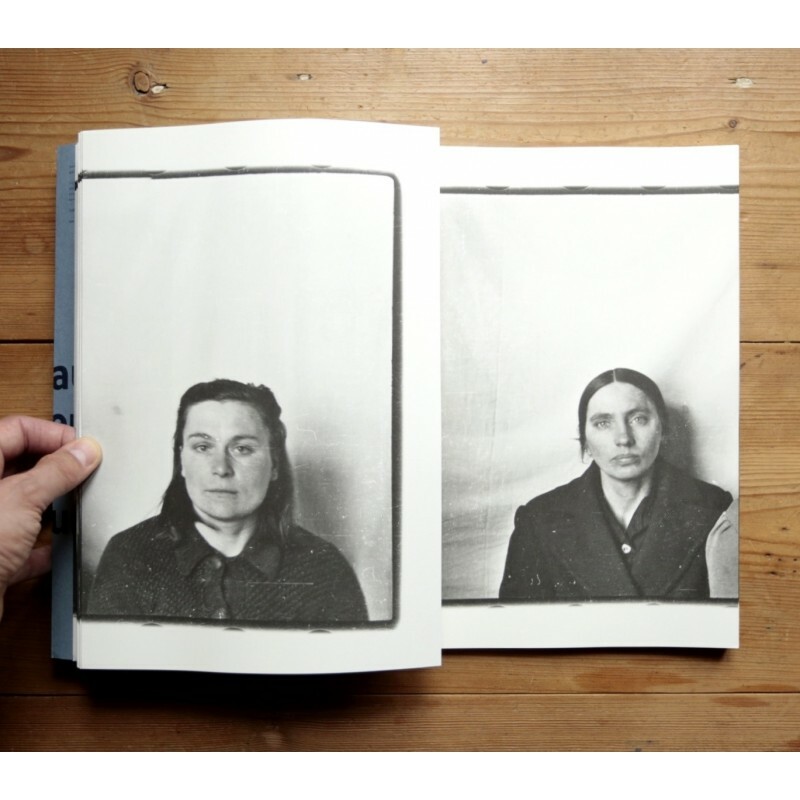 The viewer is left to speculate on both the relationship between subjects—are they family? Strangers?—and on their fates." Designed by Tomas Mrazauskas. Many gatefold pages. 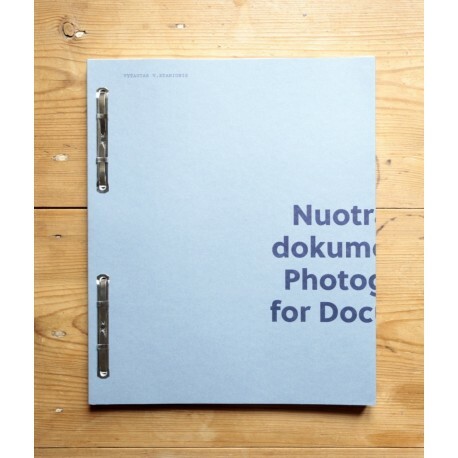 This book is shortlisted for the "Aperture Foundation / Paris Photo 2014 - Photobook of the Year Award".